The University started out performing in 1975 in rented buildings with 8 departments. But presently it has developed significantly and constructed many sub campuses also. 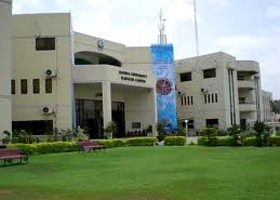 Currently, Bahauddin Zakariya University admission 2019 has 20 departments and 4 constituent colleges that are. University is providing the optimum feasible residential conveniences to the students and staff. Admission Date for Spring Admission 2017 will come soon…. Thanks for visiting our site which is compatible of Universities Admissions and details. We provide the best information about Bahauddin Zakariya University Admission 2019. Currently no date announce for the LLB. When date will announce for LLB? What is merit for that??? i belong to disst. gujrat city lalamusa and i want to do llb and i want to ask that you have opportunity to do llb private and exam must be conduct disst. gujrat because i’m job holder and do not get admission in regular basis. thaks. when will be the admissions start of B.Com (4 years) & BBA???? sir BZU ma engg ka admission kb tk open hu ga? 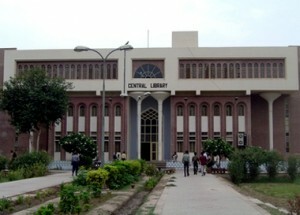 IN BZU BAHADUR UNIVERSITY CAMPUS, LAYYAH, THROUGH DISTANCE LEARNING The B.COM is 4 years OR 2 Years! PLZ PLZ PLZ TELL, RESPECTED SIR? plz tel me distance edu me ma ir ki classes suru ho ge bhe ya nae ???? private MA islamiate 2nd part k admission ki last date kia hy?? Plz Kindly inform me that is there any nts test for take admission in LLb(HONS). If there is nts test then inform me what is the date of nts test. You will apply for admission thhrough online admission system or get admission form University Admission Office. Admission should be open after the entry test of UET Lahore. 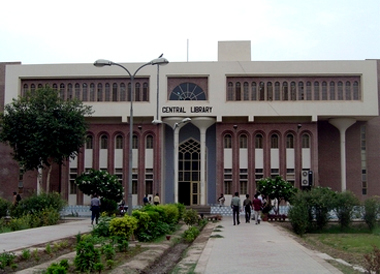 You apply in BZU with entry test marks of UET Lahore. You must have subject of Psychology in BA. If you have not this subject then it is not permitted to you for apply admission BZU. si bzu lhr post graduate diploma psychology m offer krhe hai k nhi? BZU Lahore not offered Postgraduate Diploma in Psychology. Bzu Lahore offer M.Phil in Sociology, MA Sociology and BS Applied Psychology. Which is related to your field. Currently master admission will not announced in BZU Lahore. When admission announced then we have updated on the website. Sir kindly inform me when the admission for BA LLB Hons start in BZU Multan. Currently admission for BA LLB is not announced. When admission announced then we have updated on the website. Sir! Kindly inform me… when admissions for m phil biochemistry or zoology will be announced. Can i take admission in layyah campus?? Admission for M.Phil in Biochemistry are currently not announced. When admission announced then we have updated on the website. M.Phil in Biochemistry or Zoology is not offered in Layyah Campus. sir plz tell me last date of form submission in BZU lhr campus in DPT nd kis base par admission hoga? Currently Admission are not announced in BZU Lahore Campus. Currently Admission For LLB HOns has not announced. When admission annonced then we have updated on the website. when will msc admissions start? Get Admission Form and pay Rs 600/- in favor of the Treasurer, Bahauddin Zakariya University, Multan. Currently, admission are not announced for M.A English When admission announced then we have updated on the website. Currently, admission are not announced. When new admission announced then we have updated on the website. Sir ECAT ka test nai dia kyea main koi b engnreeing kr skta hon BZU se agar nai tu plz mujy btay k main kon kon se Bs program me apply kr skta hon. Plzzz. Without ECAT Test you will not apply in BZU for Engineering Programs. ECAT Entry Test has weitage when merit is finalized. Sir main BZU me kon kon se Bs program me apply kr skta hon. Main ne ECAT test nai dia. last time bsc civil ka merit kya tha? Last Year merit of Civil Engineering is 74.81%. Every year merit is totally different. So, I can’t say anything regarding merit. When admission for M.A Arabic then we have updated on the website. sr plz teelll me me ny yaha mba me admsn lia list b lg gi but mje pta ni chala fee ki date nikal gai hai submit ki ab me kya kru?????? NO dear you will not submit the late fee because seats are fill now.